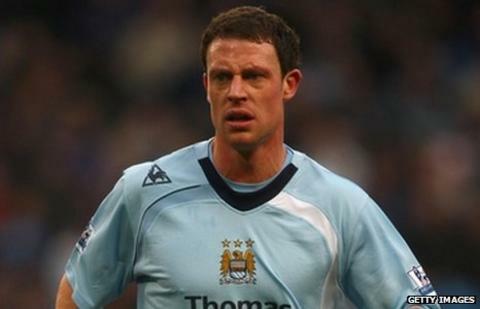 Manchester City manager Roberto Mancini hopes left-back Wayne Bridge will leave the club in January. Bridge, 31, has made only one appearance for City this season, in the Carling Cup win over Birmingham in September. He spent the end of last season on loan at West Ham. Mancini said: "I don't understand why there are some players that have a chance to go and play, and don't. "Wayne is a good guy but I hope he leaves in January." Bridge cost City a reported £10m when he joined from Chelsea in January 2009 but has made just 40 league starts for the club. Mancini is keen to move the former England man on as he is behind Gael Clichy, Aleksandar Kolarov and Pablo Zabaleta in the pecking order at the Etihad Stadium. The City manager also revealed Bridge rejected a move to Celtic in the summer. "I don't know why you would want to stay at a club where you can't play," Mancini said. "He has a chance, maybe not in the Premier League but in the Championship. "When we are young and start to play football we don't play for money, we play because we like football. Every player should have this target in mind - to play football. "Wayne is a good guy, but he had two or three chances in the summer, including Celtic, who are an important team. "He trains with us sometimes and sometimes with the young players but I hope, for him, he leaves in January because it's difficult for a player to stay training every day."